The starting grid has been set for Round 12 of Verizon IndyCar Series competition on the streets of Toronto. Alexander Rossi and Ryan Hunter-Reay led the team effort in qualifying, both advancing to the Firestone Fast Six. 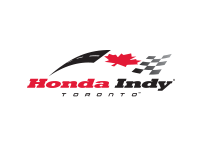 The 85-lap Honda Indy Toronto will broadcast live on NBC Sports Network at 3 p.m. ET.